William Tod Otto served as the reporter of decisions for the U.S. Supreme Court from 1875 to 1883. A distinguished lawyer, judge, and government administrator before his appointment as reporter, Otto is also noted for successfully arguing before the Supreme Court the case of Murdock v. City of Memphis, 87 U.S. (20 Wall.) 590, 22 L. Ed. 429 (1875), which resolved issues concerning the jurisdiction of the Court. Otto was born on January 19, 1816, in Philadelphia, Pennsylvania. He earned a bachelor's degree in 1833 and a master's degree in 1836 from the University of Pennsylvania. Otto studied law in Philadelphia and then moved to Brownstown, Indiana, to open a private practice. In 1844 he was elected a judge of Indiana's Second Circuit court, a position he held until his defeat in the election of 1852. From 1847 to 1852, Otto also taught law at Indiana University. Despite his election defeat, Otto remained interested in public office. Although he lost an election in 1858 for Indiana attorney general, he had the good fortune of supporting Abraham Lincoln for president at the 1860 Republican convention. President Lincoln named Otto assistant secretary of the interior in 1863. In this post Otto administered Indian affairs. 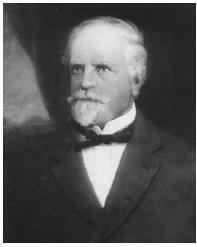 He left the department in 1871 to serve as arbitrator for claims against Spain from U.S. citizens living in its colony of Cuba. In 1875 Otto argued Murdock v. Memphis,20 Wall. 590 (1875), before the Supreme Court. The case concerned congressional changes to section 25 of the Judiciary Act of 1789, which granted appellate authority to the Supreme Court over federal question cases from the state courts (those cases involving federal constitutional or statutory issues) but excluded questions of state law from review by the Court. This meant that state courts had the final and unreviewable authority over the interpretation of the state constitution and laws. However, in the 1867 reenactment of section 25, Congress omitted the provision containing this exclusion. Murdock raised the question of whether the U.S. Supreme Court could now review questions of state law. The Court agreed with Otto, concluding that Congress's failure to clearly state its intent to radically change the scope of federal jurisdiction prevented the Court from inferring intent. Shortly after the Murdock decision, Otto was appointed reporter of decisions, succeeding John William Wallace. He was the first reporter to issue Supreme Court reports without his name appearing on the spine of each volume. Previous reporters had acted as their own publishers and distributors; thus they were entitled to use their names in marketing the volumes of court decisions. In 1874, however, Congress appropriated money for publishing the Court's opinions under government auspices. Otto, though hardly anonymous, assembled the reports for publication by the government. Between 1875 and 1883, Otto edited 17 volumes (91–107 United States Reports). He left the position to resume a private law practice and served as U.S. representative to the Universal Postal Congress in Lisbon, Portugal, in 1885. Otto died on November 7, 1905, in Philadelphia.